Texans did not invent fajitas, but they popularized the dish and spread the word to the rest of the world. 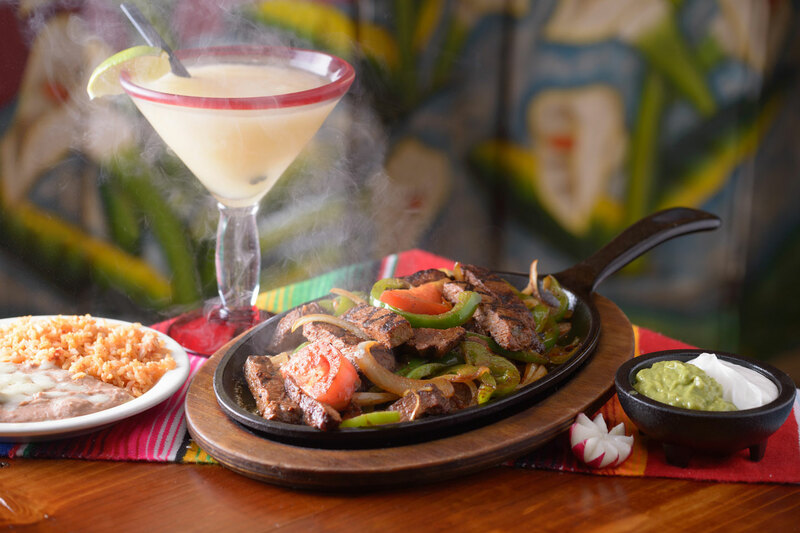 Since fajitas are made up of separate elements (the meat, the marinade, the pico de gallo, and the guacamole, links to which are provided), this "recipe" deals with the methods of preparation. As mentioned in each of the beef fajita marinade recipes, the traditional meat of choice is skirt steak, if you can find it, or flank steak which is more readily available in supermarkets. This is the traditional method of preparation for fajitas. When the coals are ready, drain the marinade from the flank steak and cook it about 3 inches above the coals for approximately 6 minutes on each side, for skirt steaks between 1 and 1-1/2 pounds. When the meat is cooked to your liking, remove it from the grill and let it rest for 5 or 10 minutes. Cut it across the grain and diagonally into finger-length strips. Broil the flank steak about 4 inches below the broiler flame for 5 to 6 minutes per side; then let the meat rest and slice as for grilled fajitas. Drain the flank steak; then cut it across the grain, diagonally, into finger-length strips. Fry the strips over high heat in a large cast-iron skillet or wok, working in batches if necessary, turning them frequently. They should take no more than 1-1/2 to 2 minutes to cook. To serve, pile the meat on a platter and accompany it with warm flour tortillas, onions and peppers, pico de gallo and guacamole. Each person will assemble his or her own fajitas by filling the tortillas with strips of meat and portions of the other dishes. Heat a cast-iron skillet or wok and add a few tablespoons of olive oil. Add 1 large (or 2 medium) onions, separated into rings, and 2 green bell peppers (or 1 green and 1 red), cut into strips. When the oil is heated, add the onion rings and pepper strips and stir-fry just until they start to get limp, 3 or 4 minutes. You might sprinkle just a little salt over them while you stir-fry. When they are ready, remove them from the pan and keep them warm. Note: Full particulars are given in the article Fajitas!